One of the things that got me excited about going to Guam was the chance to try a new airline: Continental. In Manila, Continental Airlines use the old terminal, NAIA 1. Their check in counters are in the right side of the terminal. Business class passengers get access to the MIASCOR lounge, as well as eligible Star Alliance Gold members. They can also use the Singapore SilverKris and KrisFlyer Lounges and THAI Royal Silk Lounge in NAIA 1. Continental has 3 9 direct flights to Guam from Manila departing at 10:55am, 10:55pm and 11:25pm. One flight, CO892, flies to Guam via Palau. Coming back, there are 2 direct flights, departing Guam at 8:10am and 7:05pm, while the 6:50pm flight goes via Palau. Guam is one of Continental Airlines’ hub in the Pacific, serving Manila, Hong Kong, Cairns, Honolulu, Japanese cities such as Fukuoka, Hiroshima, Nagoya, Okayama, Niigata, Sapporo and Sendai, Micronesian destinations like Palau, Yap, Saipan, Rota, Truk, Ponhpei, Kosrae, Kwajalen and Majuro. If you don’t mind the transfers, you can fly to the mainland USA on Continental, flying through Guam and Honolulu to either Los Angeles, Houston or New York. Our flight to Guam was the sole morning flight. Since we’re flying into US territory, we had to go through a very thorough secondary check. All of our hand carry luggage were inspected, all pouches and zips opened with the contents thoroughly examined. We pass through another detector and the inside of our shoes are likewise checked. 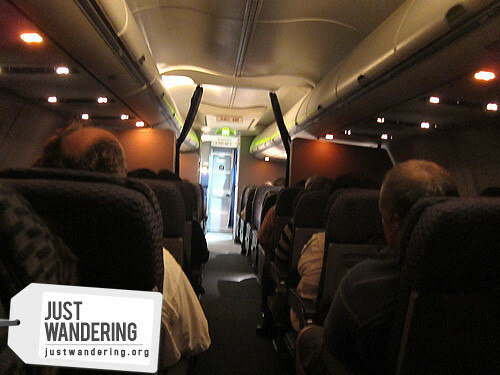 Be sure to take this into account if you’re flying to the US, as it eats up a lot of time. It was a 2-class plane, Business and Economy. Premium seats in economy with more legroom are available for a fee. 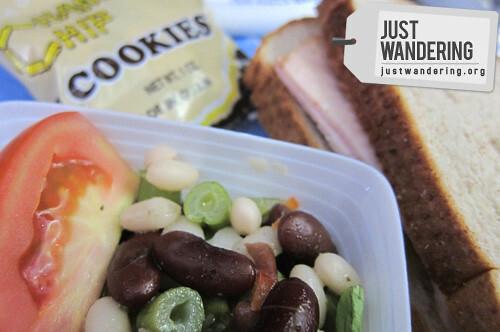 Snacks were served: sandwiches, salad and Chamorro cookies, which you shouldn’t pass on. There were video screens, but I can’t remember if they put on a movie because I slept through the flight. I do remember getting very interested in a lot of stuff in the Sky Mall shopping magazine. 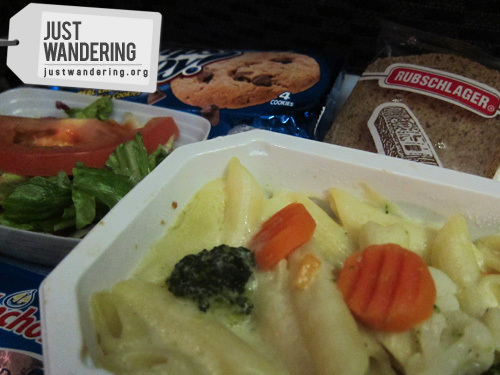 RELATED: Airline food: Yay or nay? The flight to Guam takes 3 and a half hours. Since Guam is 2 hours ahead of the Philippines, it’s quite late when we arrived (4:30pm). On the flight back though, we regained the 2 hours, arriving in Manila at 8:40pm (departed Guam at 7:05pm). Continental’s flight and hotel packages. Click to enlarge. [UPDATE] The folks at Continental Airlines sent over this flyer for their Palau Package. Only $565 for roundtrip tickets, 3-days and 2-nights accommodation, breakfast and airport transfers. If you’re thinking of going to Guam, it’s worth checking out Continental Airlines’ package deals, wherein for as low as $310 (for triple sharing; $320 for twin sharing and $400 for single), you already get round trip tickets and 3-days and 2-nights stay in their partner hotels with daily breakfast and airport transfers. These deals are not available on the Continental website, so best to call the Continental Airlines Philippines office at (02) 818-8701 to 05 to inquire, reserve and book. Continental Airlines sponsored our flights to and from Guam. We flew Continental a looong time ago from Guam to Yap. Was really nice. Oh Yap! What’s in there? Wow they serve those damn good choco chip cookies (a la famous amos) from guam on the flight! My friend brings me that as pasalubong from guam. Great airline then hehe. My biggest regret was forgetting to buy bags of those cookies to take home! Very informative post Nina. More reasons for me to visit my relatives in Guam. flew continental airlines in 2006 bound to USA. more than 50% savings compared to northwest airlines. Yup, so much cheaper nga daw ang Continental. Hassle lang yung madaming stops to get to the mainland. Really? Okay yun ah, MJ! I miss those yummy Chamorro cookies! Very informative post! 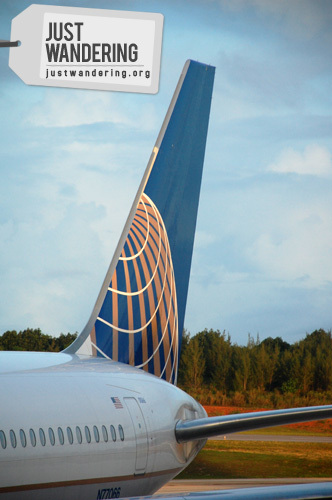 I’m looking forward to fly with Continental Airlines soon. Thanks! i am looking for the cheapest flight from manila going to Florida (fort myers). What would you suggest for the cheapest airfare. thanks.